A dear friend of mine was overwhelmed with the renovations needed in their newly-acquired home. Sound familiar? I have had some home-improvement experience growing up and I cannot wait until we are ready to buy a house to get working! Hopefully next year! Anyway, I wanted to create something to help her organize the budget, plans, to-do's, and everything else involved in renovation. She had a good sized house and a growing family. 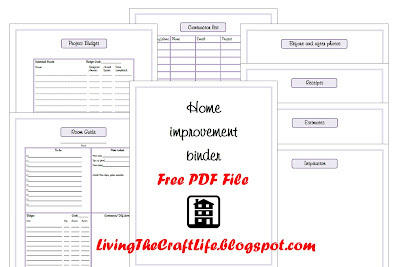 I created this binder for her to organize her home improvement efforts. Room Guide: print one for each room. It has a to-do list, budget, paint, and notes section all at a glance. I wanted to keep it all in one page because sometimes it's nice to see all the information for one room all together. 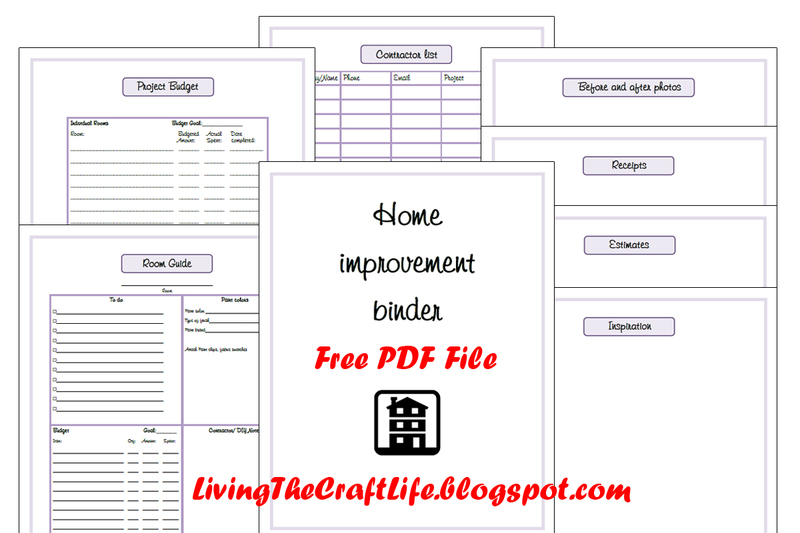 Project Budget (page protector): This is to keep track of overall expenses, and total the entire renovation project. Inspiration (Page protector): insert photos that you would like to show contractors for those "I want it to look like this!" moments. It keeps the ideas organized. You could print one out for each room if you wanted! Estimates (page protector): insert estimates for quick organization and retrieval. Receipts (page protector): insert receipts in case you need to return, order more of the same item, etc. Before and After photos (page protector): Take photos before, during, and after and store them in here so that you can be inspired through the hard times during renovations! I personally kept pages 1 and 4-8 in page protectors, as they were for storing items and keep things divided and easy to access, while pages 2-3 were not because those are the most used pages that get the most frequent use and therefore would be a hassle to take in and out of page protectors. But you can use page protectors as you would like.